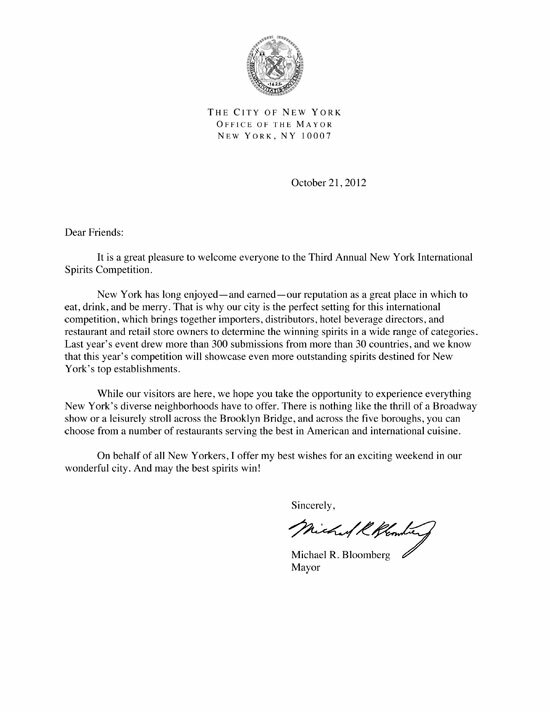 Mayor Bloomberg welcomes BACK the NYISC 2012! After 2011’s smash success of the NYISC, Adam Levy and his team are excited to bring NYISC 2012 to you! We all know that New Yorkers are well known for their discerning tastes, and their interest in spirits is no exception. The NYISC brings together our City’s top importers, distributors, hotel beverage directors, restaurant and retail store owners to use their world-class expertise to determine the winning entries.